1. Send the .kml or .kmz file via email, and tap on the attachment. A pop-up shows up. 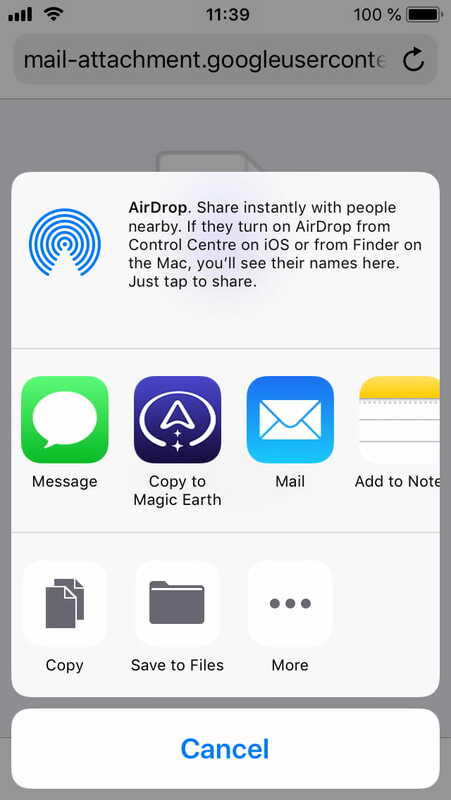 Tap on Copy to Magic Earth. 2. 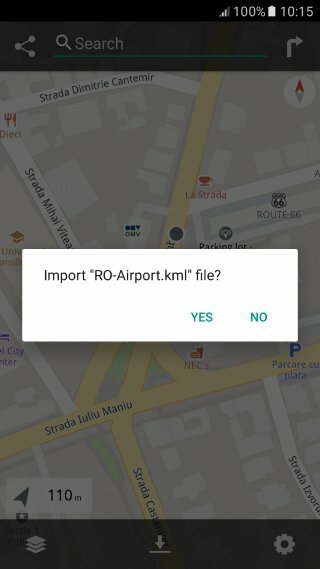 At this point, Magic Earth starts and the following message is displayed: ‘Import “name.kml” file? No / Yes’. Please tap Yes. 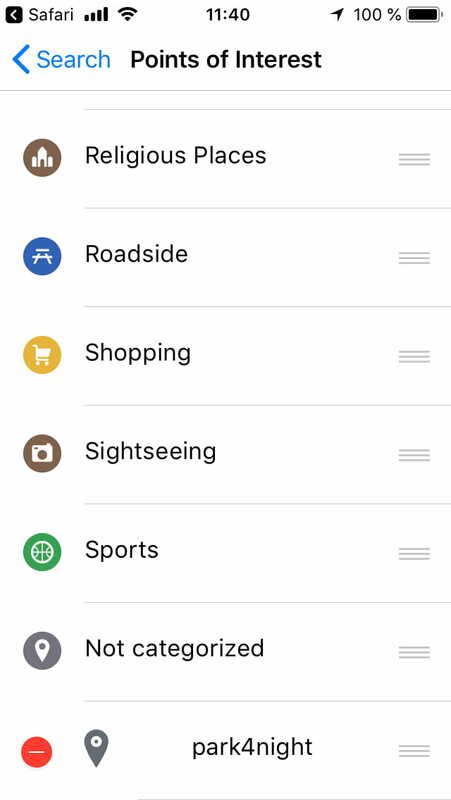 The imported points-of-interest are displayed as a new category at the end of the list in Search > Points of Interest menu. 1. Tap on the .kml or .kmz file (you can open it from your mail or copy it to your documents on the phone) and a list with all the navigation apps will be displayed. 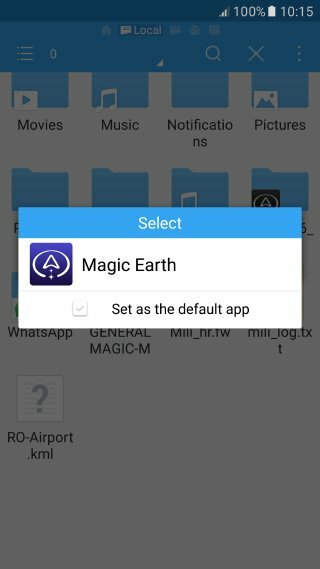 If Magic Earth is not automatically selected, please select it from the list. 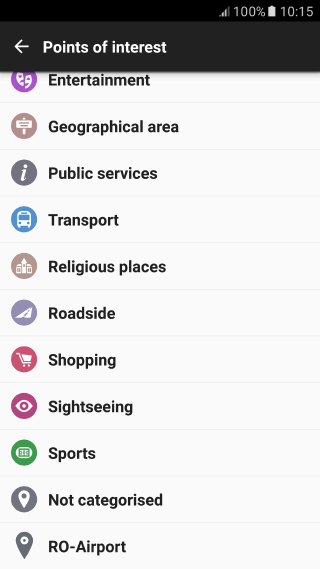 * On some versions of Android you might not see the list of navigation apps. In this case, learn how you can import .kml files manually. 2. 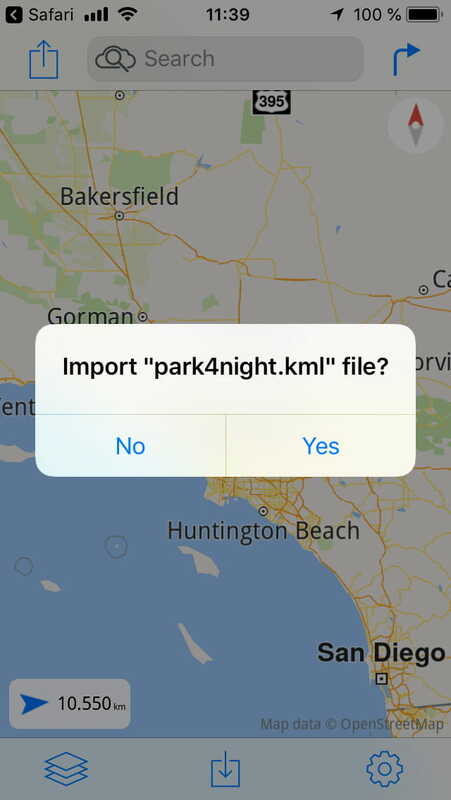 At this point, Magic Earth starts and the following message is displayed: ‘Import “name.kml” file? Yes/ No’. Please tap Yes.